This is a beautiful blend in my mind: Doing good, Travel, and Wine. 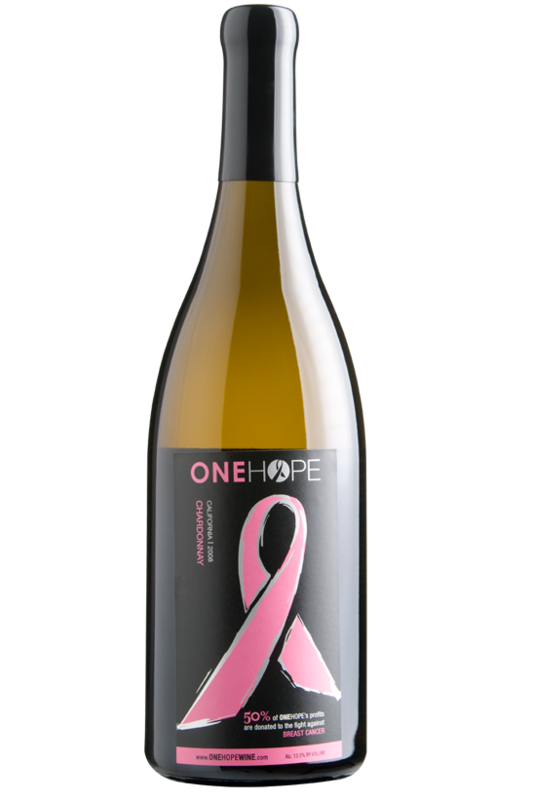 ONE HOPE Wines is a wine company that gives a portion of every purchase to charity. It varies among the wines you choose, but donations average about 10% to 15%, sometimes as much as 50% (and the company additionally donates 50% of its profits to charities) per bottle. The causes also vary: breast cancer, autism, AIDS, children’s hospitals, environmental organizations, supporting the troops, and more. ONE HOPE has become the socially conscious wine choice for events like the Grammys, BAFTA awards, the American Red Cross Gala, VH1 Save the Music, and the Sundance Film Festival. Where does the travel part come in? ONE HOPE has partnered with American Airlines –and American is featuring their Sauvignon Blanc on flights–for each bottle the airline serves, ONE HOPE will plant a tree in addition to the monetary donations, and shoppers who buy the wine via the onehopewines.com/american portal get an additional 20% off the price. The Chardonnay is also served on AA flights, and 50% from those bottle goes toward breast cancer charities. So book a flight somewhere fabulous for a volunteer vacation, toast your hard work while you are en route, and know that your reach is extending even further than you thought.